Johnson Industries is your trusted manufacturer and provider of DC mining vehicles. Long before the Johnson Brothers were building mining equipment for coal miners, we were digging coal with fellow coal miners. What better credentials would a manufacturer of mining equipment need? In other words, we have been there and done that. We understand the inner workings of mining equipment first hand because we have "hands-on" experience that some manufacturers may lack. That speaks well for the quality of equipment Johnson Industries manufactures, and explains the unsullied reputation we have earned over the years. 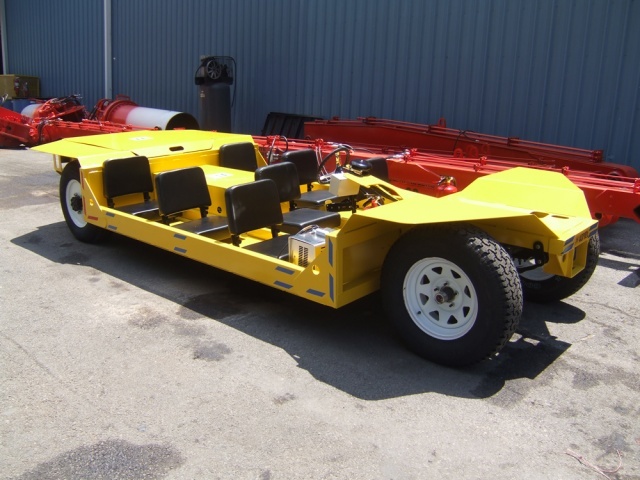 Johnson Industries provides a range of DC mining vehicles to meet the needs of the industry. Johnson Industries produces high quality DC mining vehicles for the safety and efficiency of miners and the mining industry. From industrial duty cars, to sampling systems, Johnson Industries is the authority on mining equipment and DC mining vehicles. Contact us today to learn more about DC mining vehicles from Johnson Industries.